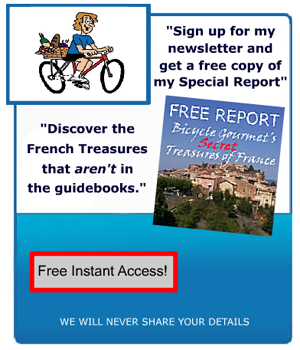 Bicycle Gourmet’s 2014 French Photo Course Workshop – Too late to sign up? Well, that depends on what you want to sign up for – dunnit? The good news is that there are still a few spots available. The bad news is just what you’d expect – they’re filling up faster than a politican can kiss a baby. This is the best plan o’ action seein’ that availabilities, like the weather be constantly changin.’ For that reason best just to review the whole nine yards of 2014 Photography Workshops in France with the Bicycle Gourmet and put your “John Henry”(or Henrietta) on da dotted line. Then you’ll have the best possible chance of being a happy French Photo Workshop camper. thanks for the info in this post. ;;;;EXACTLY WHAT I NEEDED;;BECAUSE THE WORKSHOP I WANTED was FULL;;;;;;;but i’m on the waiting list now! exactly the same deal with me fran……i’m now on the list for 2 workshops…so hopefully one will open up! i checked out your link to trey ratcliffe……he is a good photographer…but $20,000? karen..re: trey ratcliffe……not to worry…..his $20,000 workshop – the one to africa DA BG mentions – is SOLD OUT! ed….more impressive to me was that he’s in 7 million plus circles on google plus!….wonder how he managed that? garth..ok i know who guy kawasaki is…..but what his his machine? sheila…..every wonder how guy kawasaki makes so many G+ posts? the not so startling answer is that he doesn’t make all the posts. some are made by a woman (who’s name escapes me at the moment) abd the rest are made by……(you guessed it) trey ratcliffe! so garth…what you’re saying basically..is that trey ratcliffe is piggypacking on guy kawasakis fame? really REALLY helped spread his message. garth…well…thats ANOTHER way of looking at it (lol! )..and , yeah really the right way i guess. good advice..which i always follow…however should be an eye opener for those who don’t. good work covering all the bases! agreed carleton!…..DA BG always goes the extra mile (kms?) for us! “faster than a politican can kiss a baby” – fabulous line! re/ trey ratcliffe……he is an interesting photographer….but even if is workshop was still open…..$20K is about $19k above my budget! not to bash the guy….but i prefer images that look fantastic because the photographer was in the right place at the right time with the right exposure and clicked the shutter…..
so fenton….you’re “bashing” HDR and post processing in general? incredible opening image!…a super example of the creativity you’re offering with these workshops…i’m in! thanks for doing everyone possible to give as many people as possib le a chance to join, you on this exciting adventure! 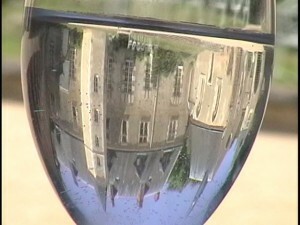 i’d like to second the comment about the castle in the wineglass picture. truly a fine example of your photographic skill! harvey..AND an excellent example of WHY anyone who love photography and france should be hooking up with DA BG! add me to the commentors wo loved your opening photo. VERY COOL!! !